Using bread crumbs and herbs to stuff artichokes for special occasions is a festive Italian tradition. Focaccia is a savory bread popular in Liguria. 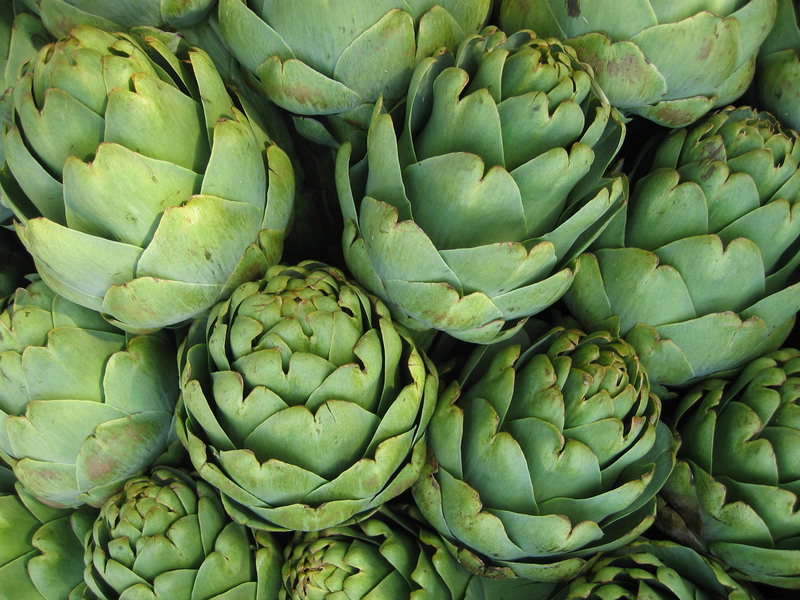 Wash artichokes under cold running water, cut off stems at base and remove small bottom leaves. Cut off top quarter of artichokes; discard. Spread leaves, remove center leaves and fuzzy centers with a spoon and discard. Toss bread crumbs with cheese, olive oil, garlic, parsley, oregano, salt and pepper to taste. Stuff bread crumb mixture between leaves of artichokes and fill centers. 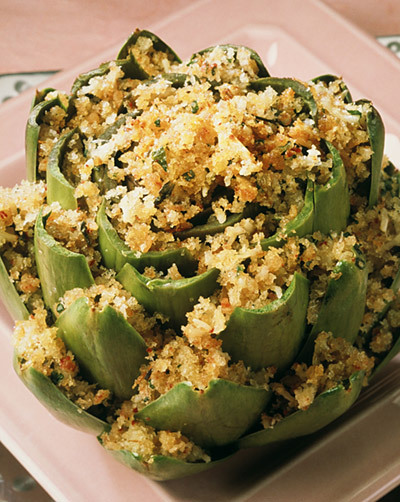 Place stuffed artichokes in a 9-inch square baking dish. Pour 2 cups boiling water around the artichokes. Cover with lid or foil. Bake at 350 degrees F. for 40 minutes or until artichokes are tender. Remove artichokes from baking dish and place on rack; cool to room temperature.